Extra virgin olive oil in a 0.50-litre-bottle pantry-pack. 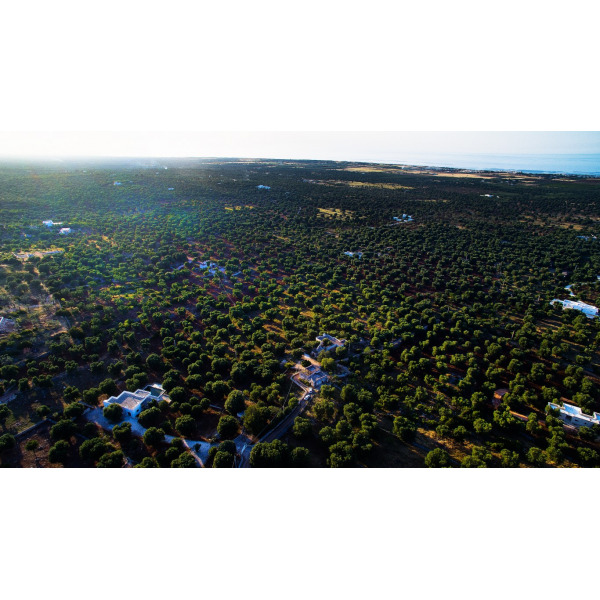 The Extra Virgin Olive Oil from Pietrasanta Farm in Carovigno (Brindisi) is the result of extensive experience and passion for the cultivation and care of our olive groves, which has been handed down for three generations. 100% Made in Italy. We produce and sell 100% ITALIAN EXTRA VIRGIN OLIVE OIL without dyes or preservatives (in conversion to organic farming), produced in a hilly area in Puglia near Torre Guaceto reserve , which overlooks the sea: an unmistakably Mediterranean flavour , the aromatic notes that introduce this intense fruity are the green apple and the fresh almond, making it a coherent and balanced oil which presents a perfect balance between bitter and spicy, both lively, exuberant and elegant. The Pietrasanta extra virgin olive oil is obtained using quality olives (Ogliarola, Leccina, Cima di Melfi, Frantoio, Cellina from Nardo with traditional mechanic cold pressing), taken to the press immediately after their collection (within 12 hours - 1st secret), carefully processed and chosen (2nd secret). 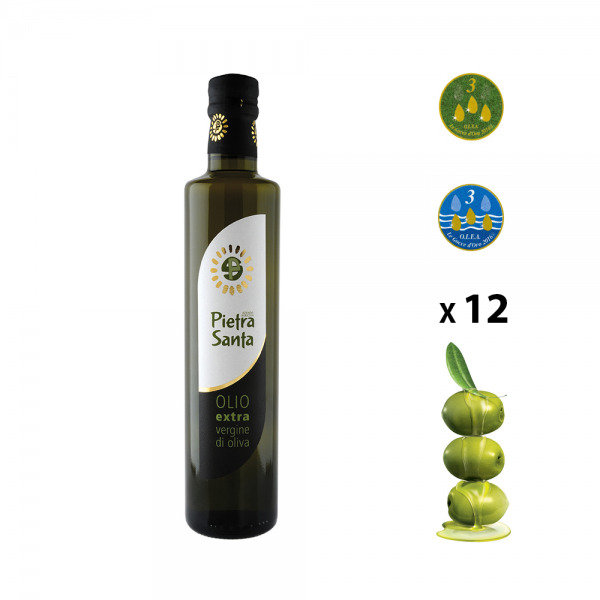 The Pietrasanta extra virgin olive oil acidity is among the lowest on the Italian market (0.2%), the percentage of oleic acid in an oil is the main quality indicator. 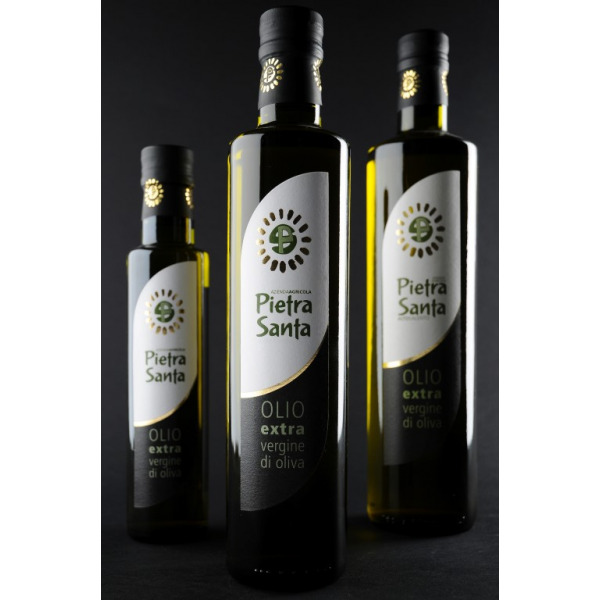 We suggest to use Pietrasanta extra virgin olive oil for rich strong-flavoured dishes, to be tested on pulses soups and grilled meats, and more ..., in recent times we have been receiving a series of praise from both national and international sommeliers. Store in a cool place, away from heat sources and protected from light. Ho scoperto quest'olio ad una fiera e me ne sono innamorata! 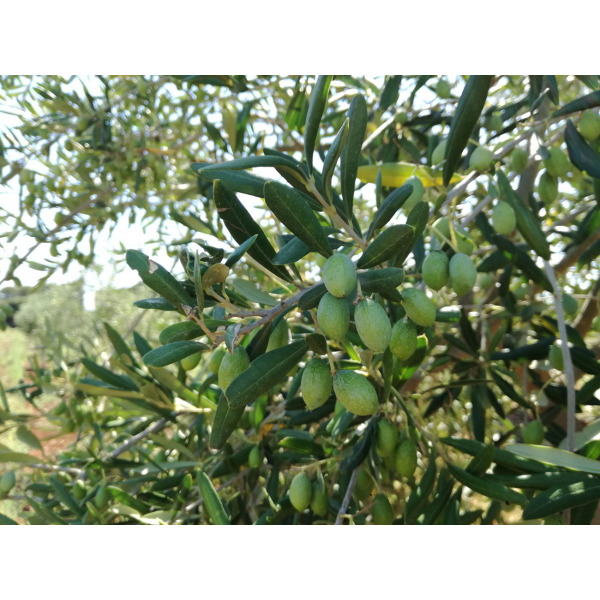 Ormai a casa usiamo solo quest'olio evo puglia! 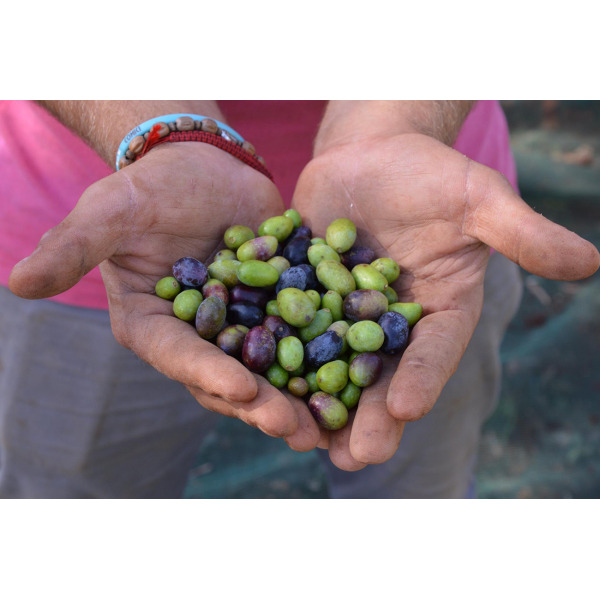 Confezione da 12 bottiglie Olio extravergine di oliva per gli amanti dei prodotti agricoli pugliesi dell'azienda agricola pietrasanta, consiglio a tutti di non farsi mai mancare questa confezione da 12 bottiglie Olio extravergine di oliva, ottimo!